Believable characters significantly increase the immersion of users or players in interactive applications. A key component of believable characters is their personality, which has previously been implemented statically using the time consuming task of hand-crafting individuality for each character. Often personality has been modeled based on theories that assume behavior is the same regardless of situation and environment. 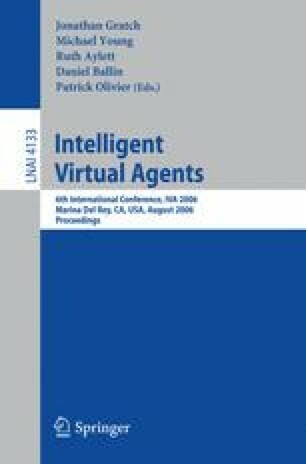 This paper presents a simple affective and cognitive framework for interactive entertainment characters that allows adaptation of behavior based on the environment and emotions. Different personalities are reflected in behavior preferences which are generated based on individual experience. An initial version of the framework has been implemented in a simple scenario to explore which parameters have the greatest effect on agent diversity.